1. MCATA Logo Baseball Cap: Order your own high speed, low drag MCATA official baseball cap here. Caps come in three varieties, Structured (hard front) wool, structured cotton blend and unstructured soft top. Click on link below to see examples of each. They also come in a variety of colors like red, navy, black and white. Supplies of some colors are extremely limited. The logo on the front was especially designed for us using our USMC aircrew wing and EGA designed logo. Price includes shipping! These will be available at our reunion in New Orleans. 2. MCATA Miniature Lapel Wings: These wings are in limited quantity! 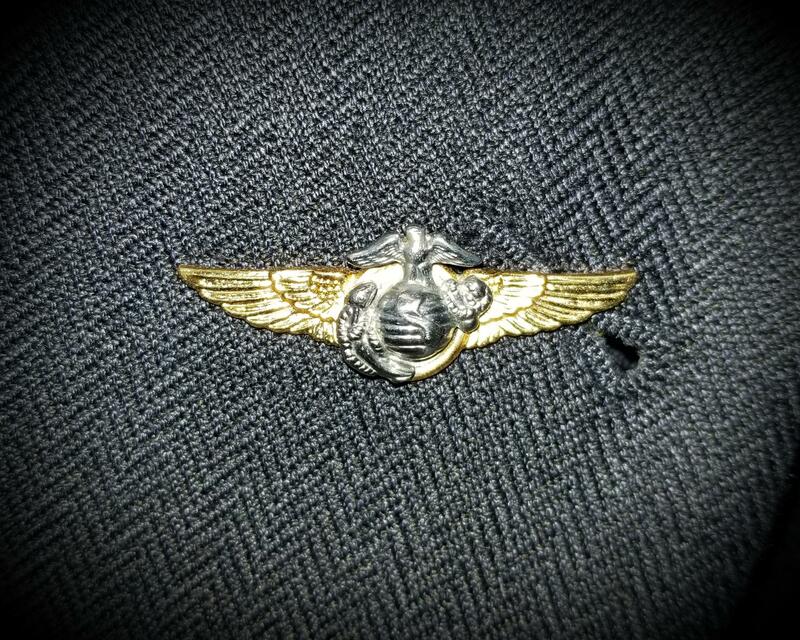 Wings are official USMC aircrew with silver pewter EGA. Price includes shipping! Out of Stock! 3. 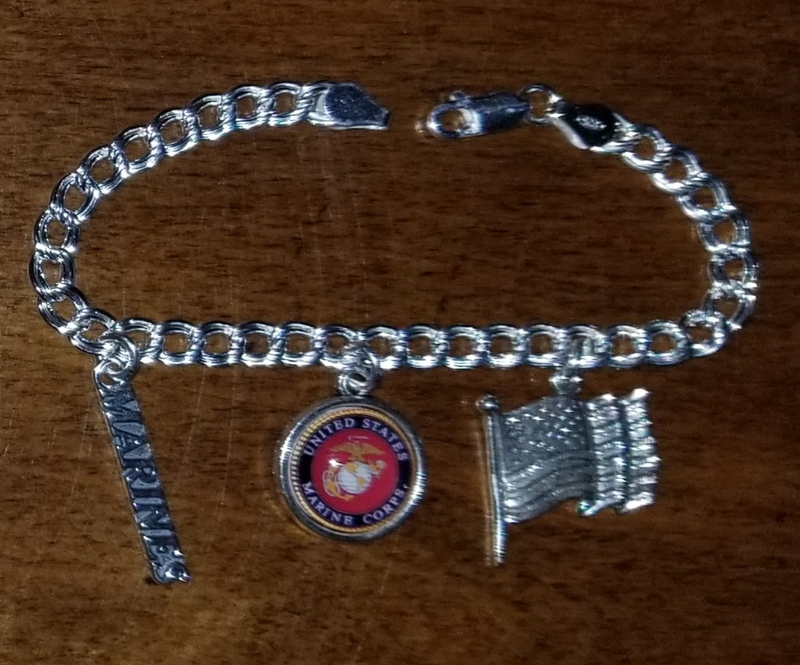 Sterling Silver Marine Corps Charm Bracelet: 7" bracelet all sterling silver (except EGA charm). We only have two of these until we assess demand. Orders are custom and will be fulfilled as we get them and can manufacture them. If you need something larger than 7" there will be a slightly higher cost. Prices include shipping! These will be available at our reunion in New Orleans. If you have questions contact Carol at Carol@classygems.com. 4. 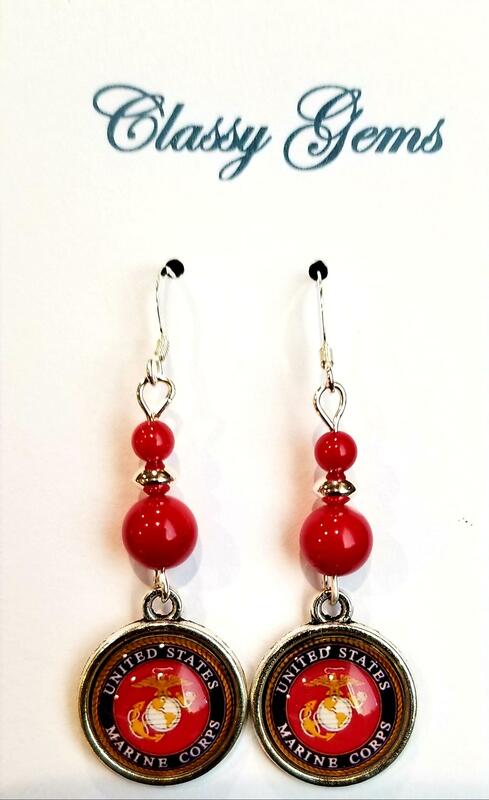 Sterling Silver and Coral USMC Earrings: These are sterling and coral earrings with Marine Corps EGA. We have a limited quantity of these items. $5 of every order goes to the MCATA scholarship fund. Price includes shipping! These will be available at our reunion in New Orleans. If you have questions contact Carol at Carol@classygems.com.